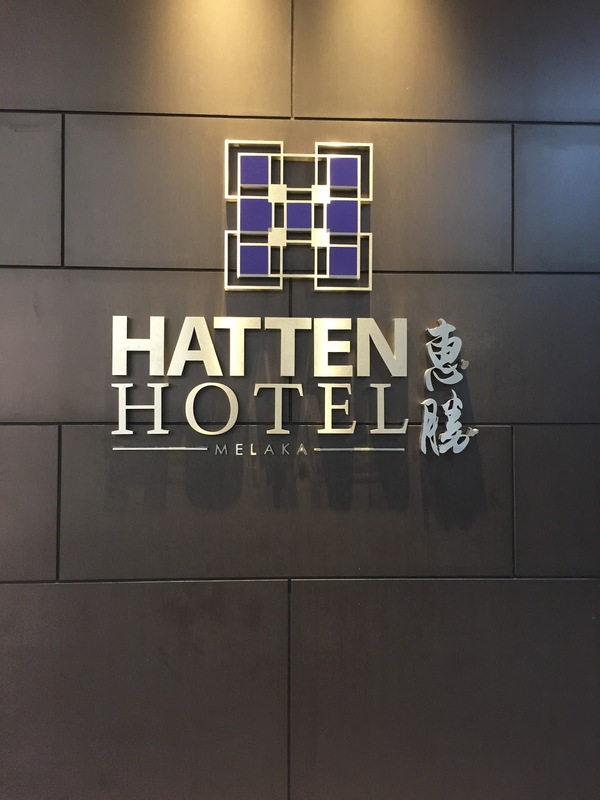 Hatten Hotel is located in the middle of Melaka, where the only shopping malls are located in the town. The hotel sits on top of Hatten Square a shopping mall that is also linked to the rest of the shopping malls. 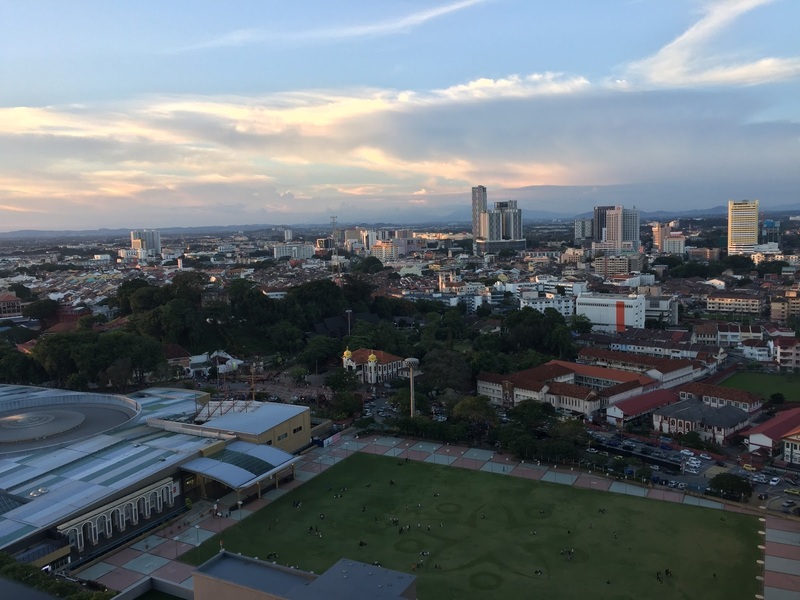 Hatten Hotel is a mere 7 mins walk from Jonker Street and 5 mins walk from St Paul’s Church, making it a great place to explore the foodie scene and the major sights of Melaka. 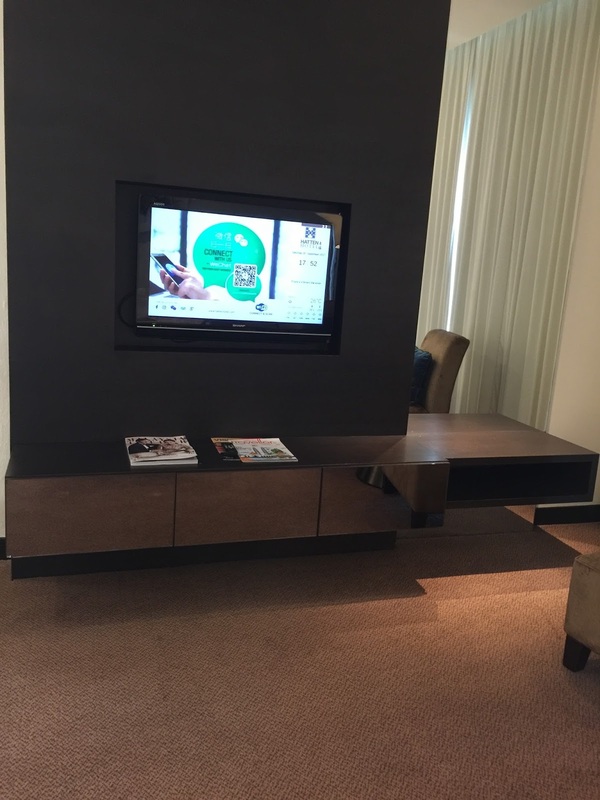 Hatten Hotel is an all suites hotel, offering minimally a Junior Suite. 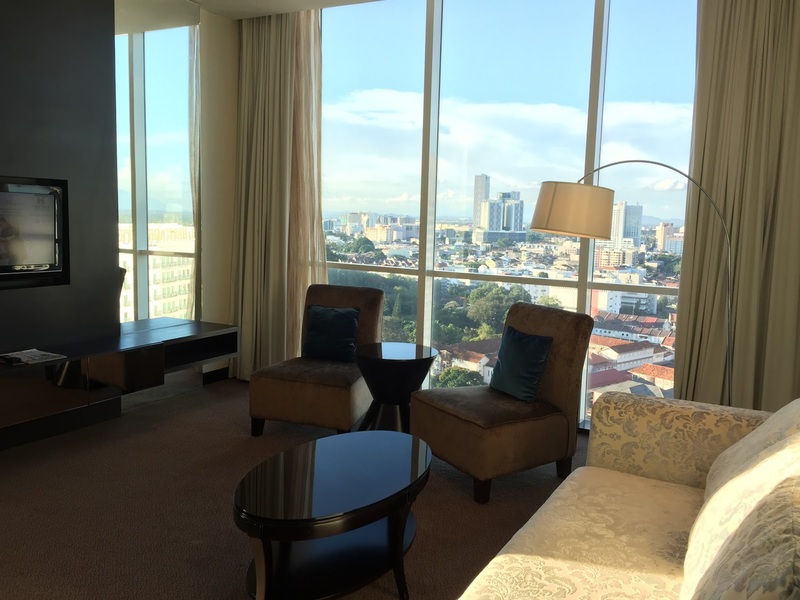 Guests staying in the Hatten Suite can check-in at the Premier Lounge located on the 12th floor of the hotel. There are no queues at the lounge at the time of my check-in. 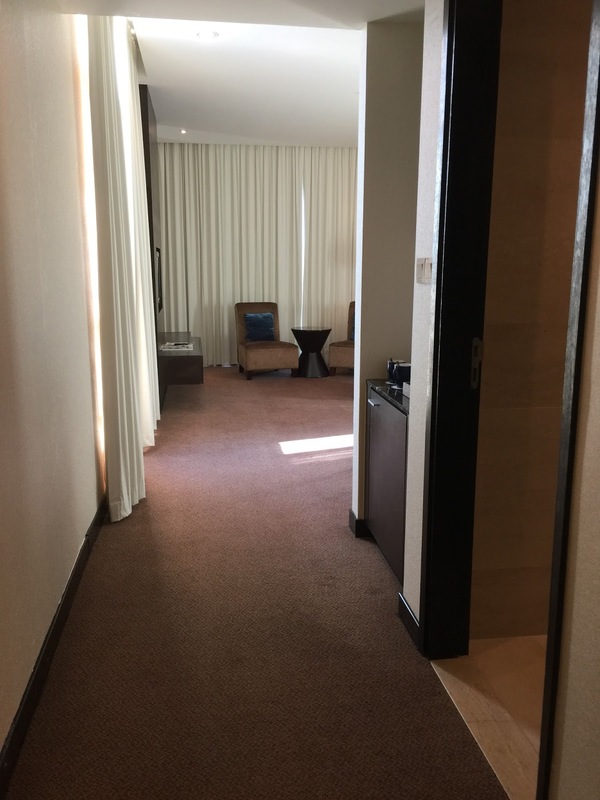 I checked into the large 74㎡ Hatten Suite, a 1 bedroom suite. 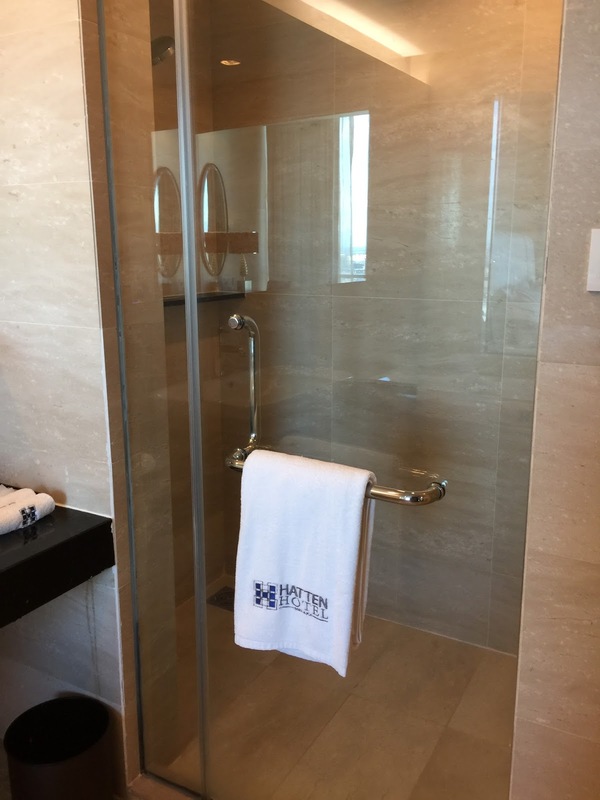 The hotel has very limited Hatten Suites, with 1 on each floor a few more on its top level. The Hatten Suite is contemporary and in its decor and feels very comfortable once I entered the suite. 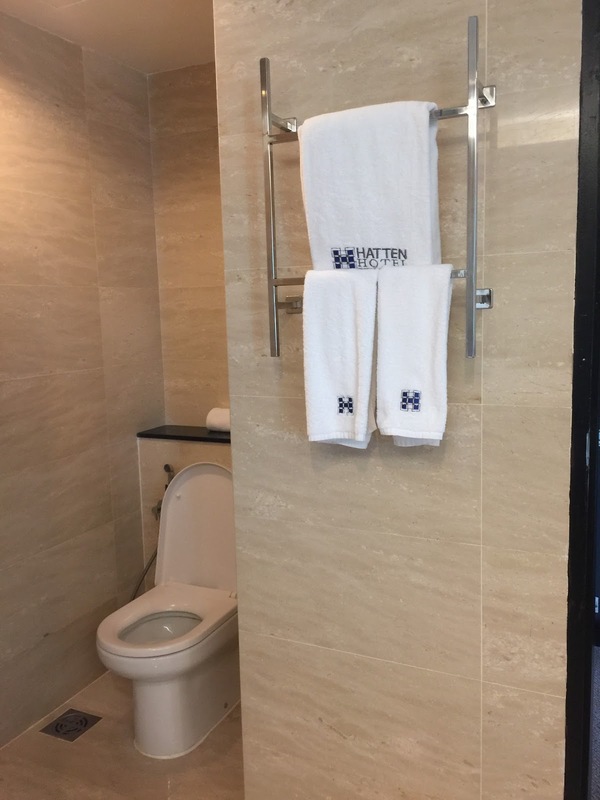 Entering the suite, one would come across a toilet before the mini bar area. 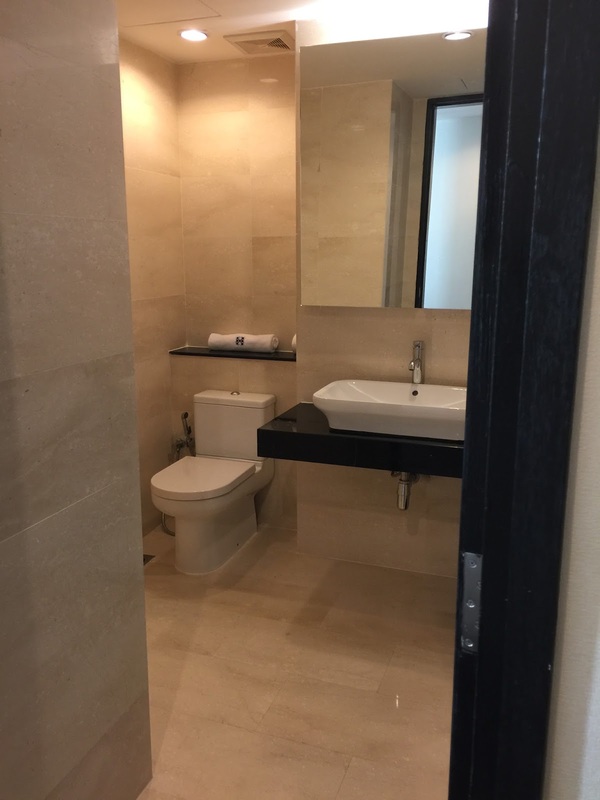 The toilet has only a sink and toilet bowl, which is perfect for guests to use without having to enter the bedroom. 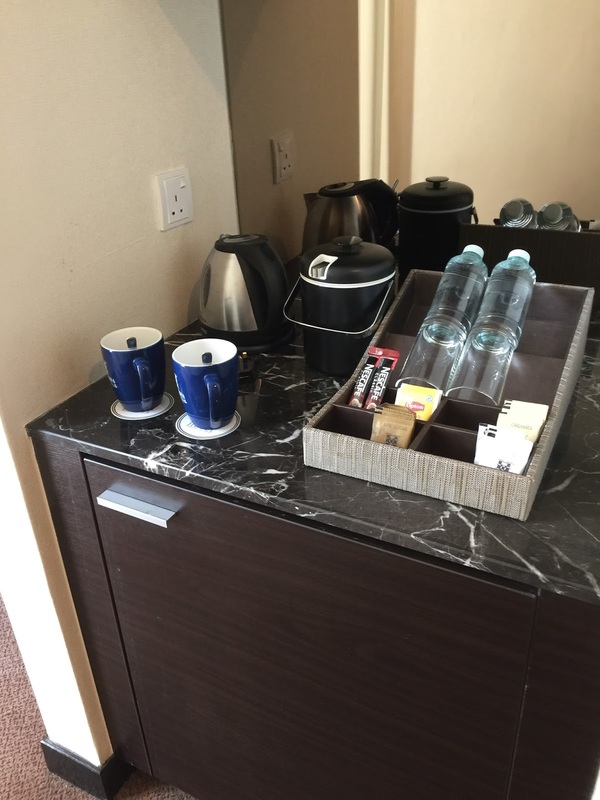 The placement of the minibar area next to the toilet in the living room makes total sense as guests in the suite can obtain water and wash their mugs without having to enter the bedroom. Main entrance to Hatten Suite in Hatten Hotel. 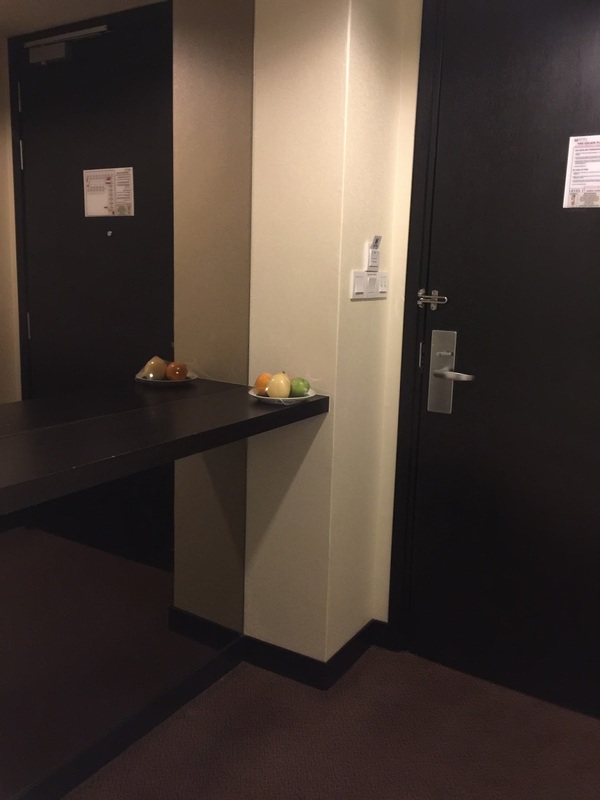 A small plate of welcome fruit consisted of an apple, orange and pear is placed on the ledge by the entrance. 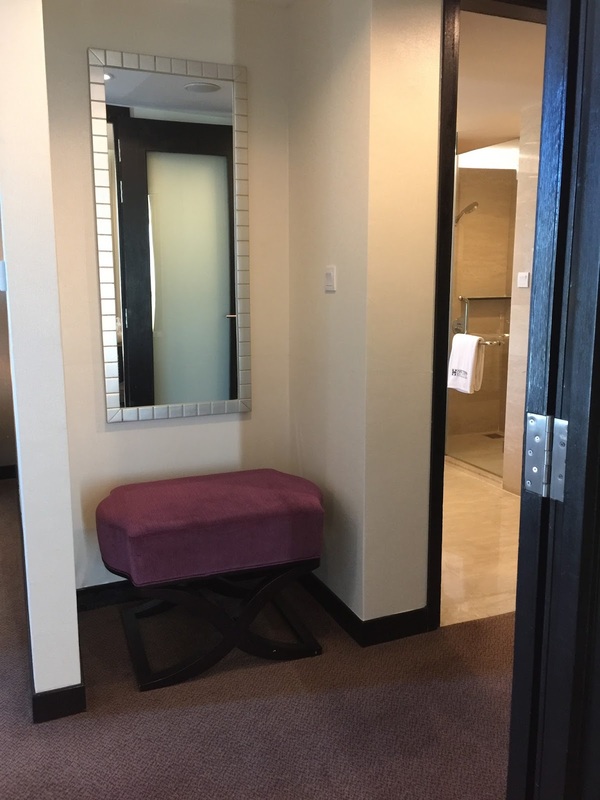 Passing the toilet and the minibar area, the space opens up to the living room. 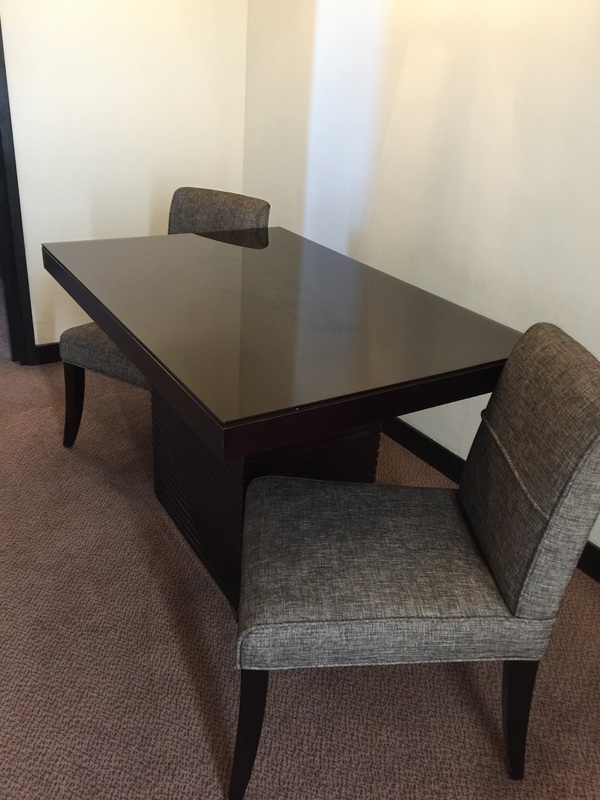 Placed near the wall is a decent sized dark brown wooden dinning table with 2 chairs. One can have a decent meal at the dinning table. Further into the spacious living is where one can find a large comfortable 3 seater couch, facing a 32″ LED TV that is mounted on the wall. A coffee matching coffee table is placed between the couch and the TV. 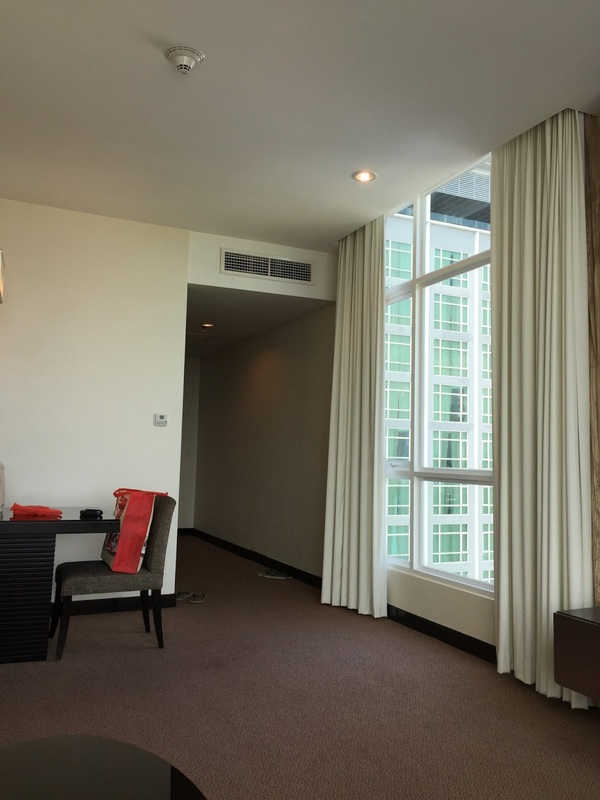 There are 2 single seat chair and a small side table placed at the end of the living room, right in front of the floor to ceiling windows looking out into the town of Melaka. I do find the single seat chairs a great place to relax and do some work in the living room. The entire living room feels very cozy and comfortable. The door to the bedroom sits between the dinning table and the couch. A huge king size bed sits in the centre of the bedroom greeting guests. 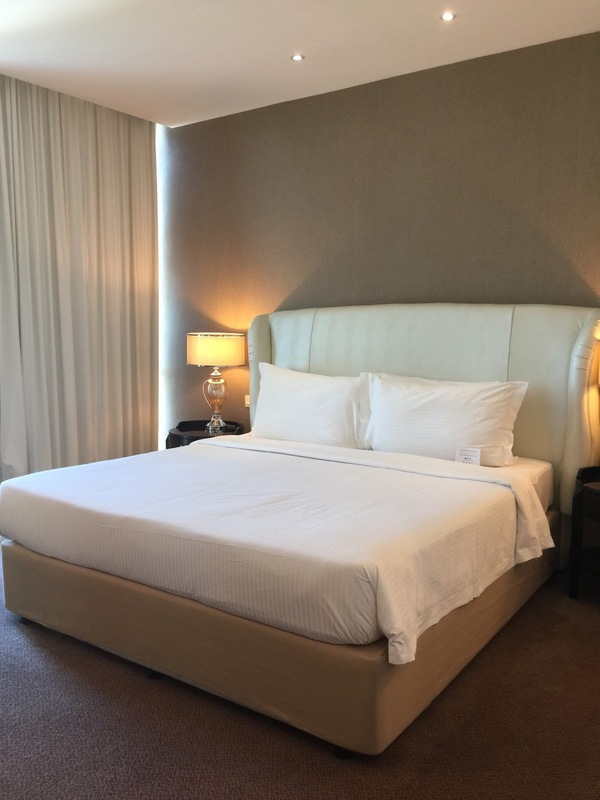 The bedroom decor looks simple yet elegant, with the luxurious feel from the headboard of the king bed. The sleep quality on the king bed is excellent, I feel recharged after a night’s shopping. However the bedsheets are badly stained. 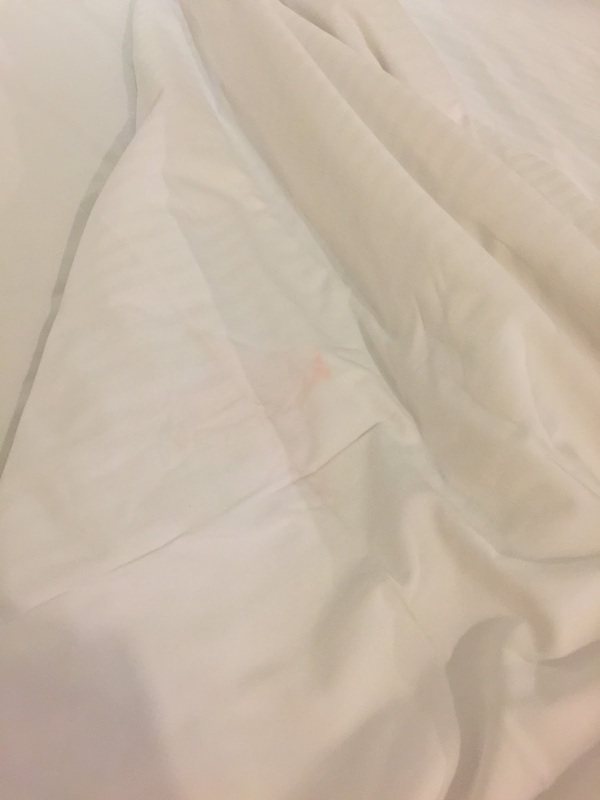 The worst stain are found on quilt cover that is facing down, where there seem to be blood stains on them that seem to make the quilt cover look unwashed! Opposite the king bed is a elongated dressing table, which provided additional space for guests to place their small items on. 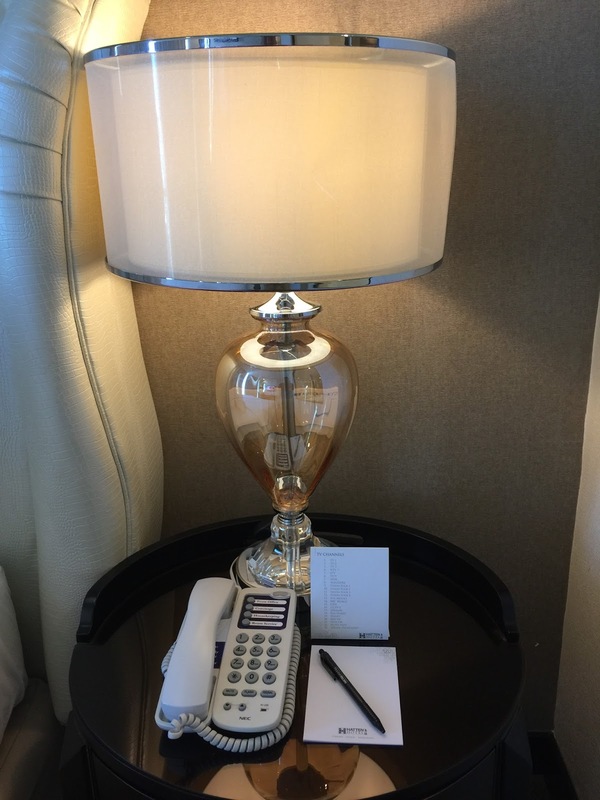 I find the placement of the mirror on the wall here a little odd as the table lamp was blocking the mirror, meaning guests will find it challenging using the mirror while seated on the chair that is by the table. 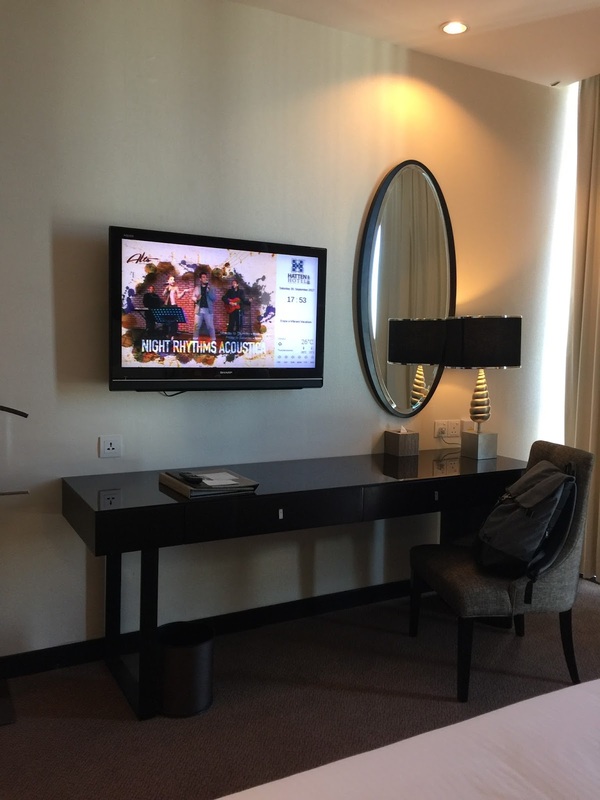 Another LED TV is mounted beside the mirror, facing the bed. 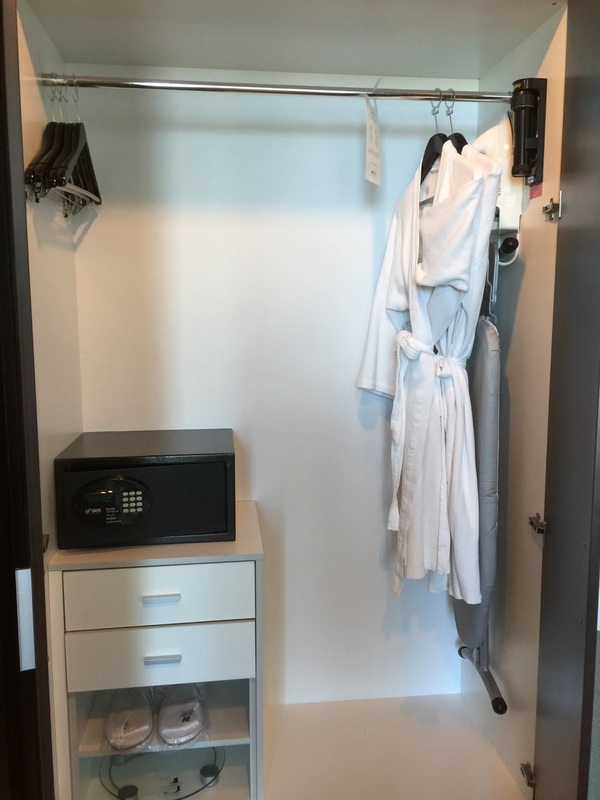 The wardrobe is found at the end of the walkway in the bedroom next to the bathroom door. The wardrobe is of a decent size, sufficient for guests to hang their clothing. There is a 4 tiered cabinet inside the wardrobe as well as an in-room safe. 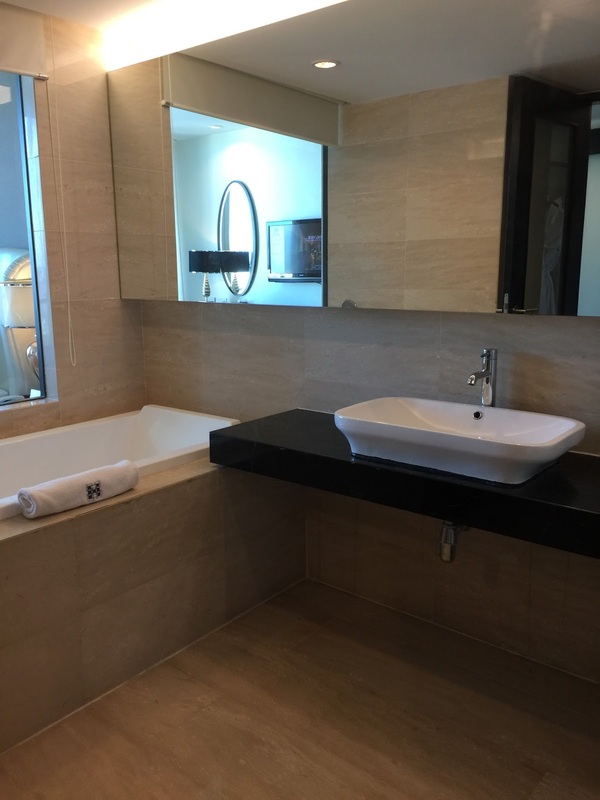 The bathroom of the Hatten Suite is located inside the bedroom. The marble laid bathroom gives it a opulent feel. 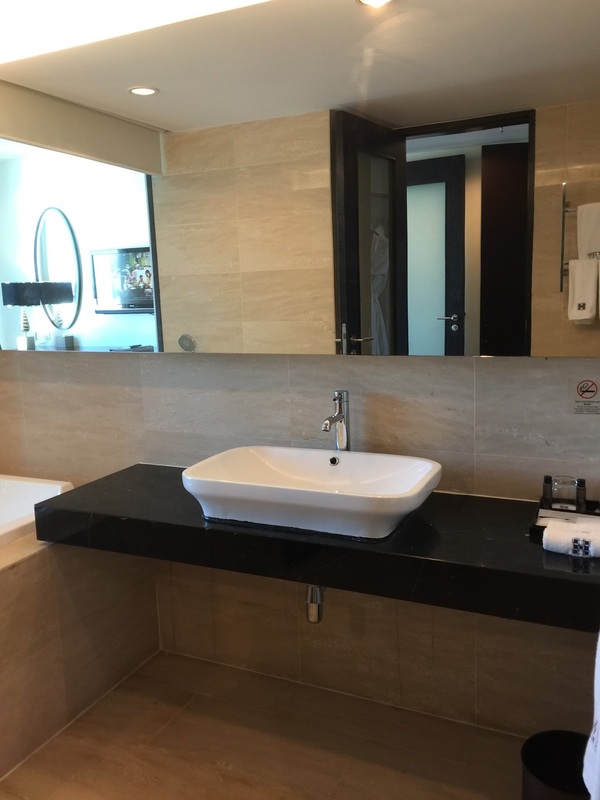 As soon as I entered the bathroom, a large sink on a elongated sink counter top tucked to the wall of the bathroom was in sight. The clever use of the mirror that fills up the entire length of the wall in the bathroom makes it look larger. 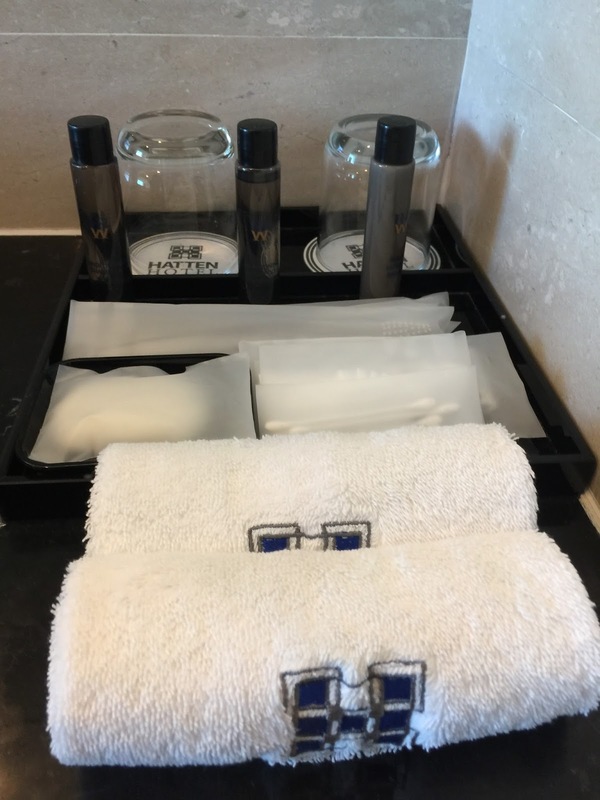 Bathroom amenities are being placed by the hotel staff on the right side of the sink counter top. However do check the labels on the bath amenities as I received 2 shampoos and no shower gel. A hug bathtub sits on the left side of the sink area, tucked by the wall of the bathroom. 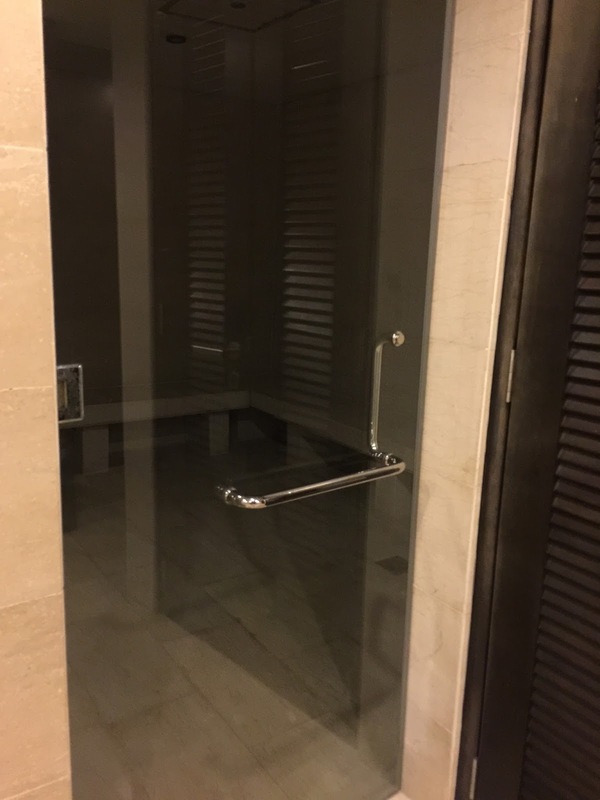 There is a glass (with curtain for privacy) that looks out into the bedroom, which is ideal for guests to watch the TV from the bathtub while getting a soak. 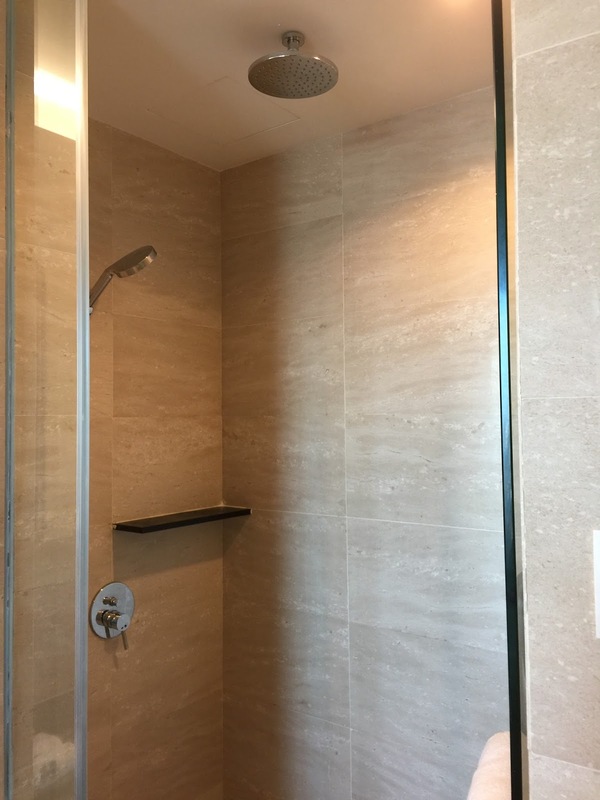 On the right side of the sink is a walk-in shower cubicle, that has both a rain shower head and a regular shower head. 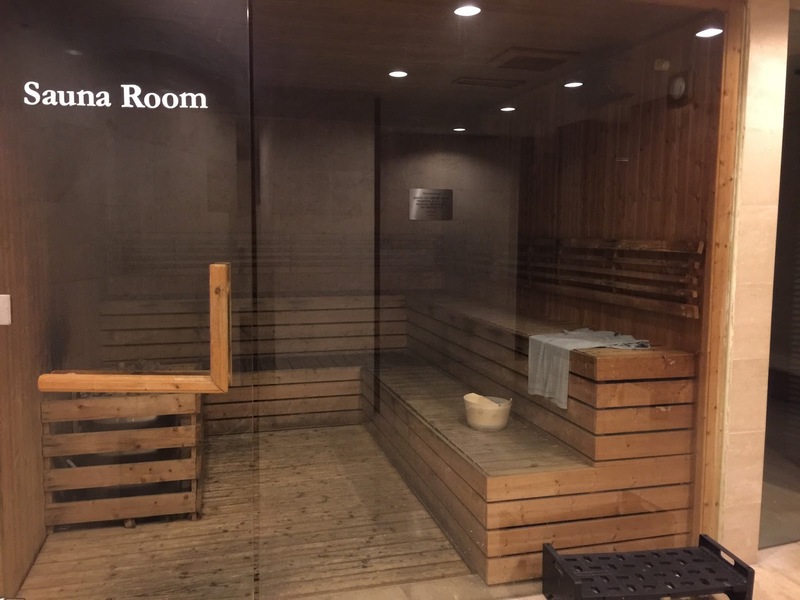 The shower cubicle in the suite that was assigned to me smelled mouldy, especially when enclosed. The toilet bowl can be found on the right side of the door to the bathroom. 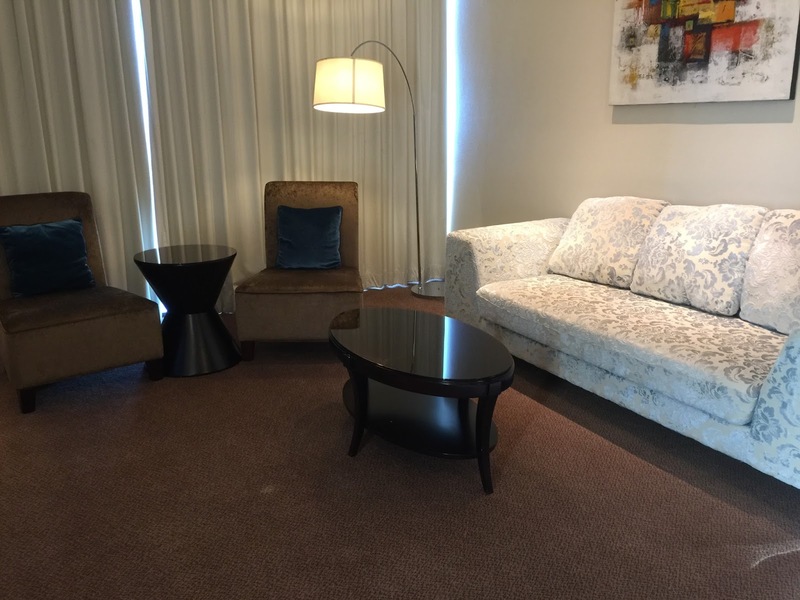 Guests staying in the Hatten Suite can gain access to the Premier Lounge. 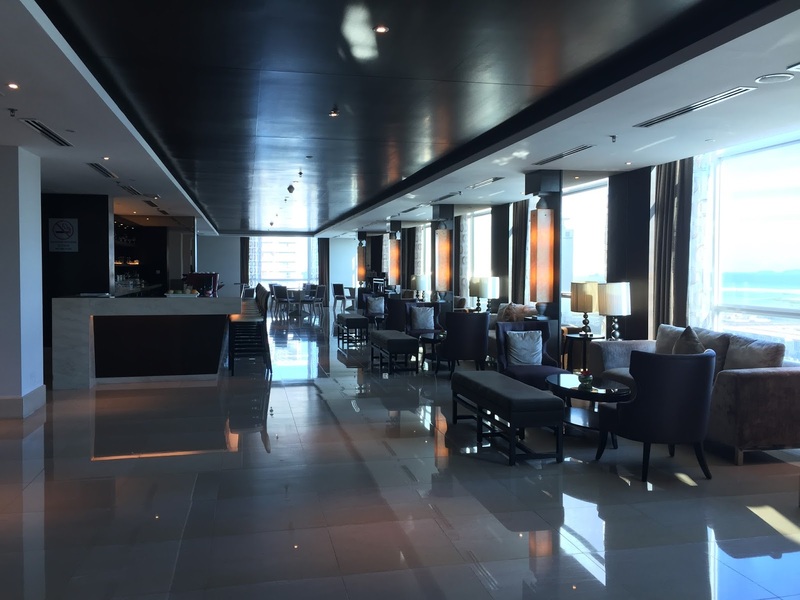 The Premier Lounge is nested on the 12th floor of Hatten Hotel and faces Melaka Straits. It is a perfect place to chill out and watch sunset over Melaka Straits. The lounge is empty most of the time at the time of my visit, making it a great place to enjoy some quiet time. 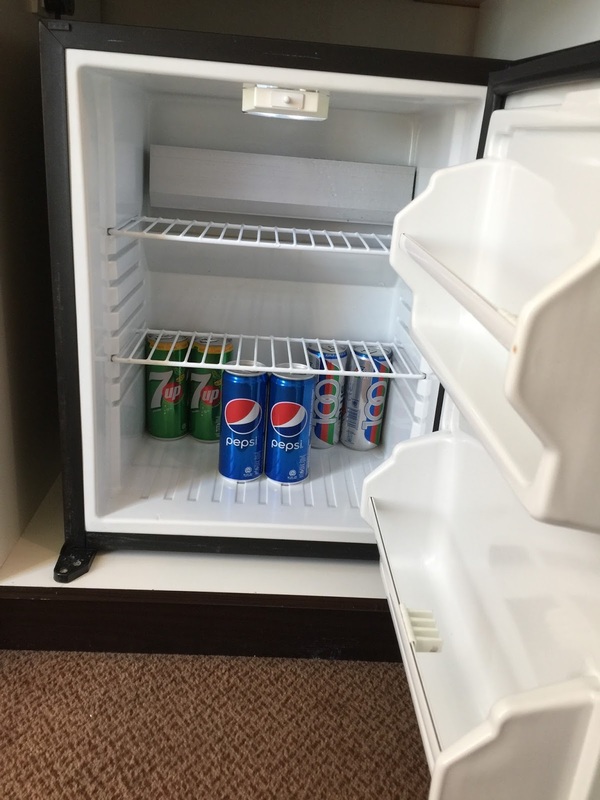 I did not see any snacks or finger food being placed in the Premier Lounge, however guests can request for coffee or tea, which the staffs will be happy to serve up. 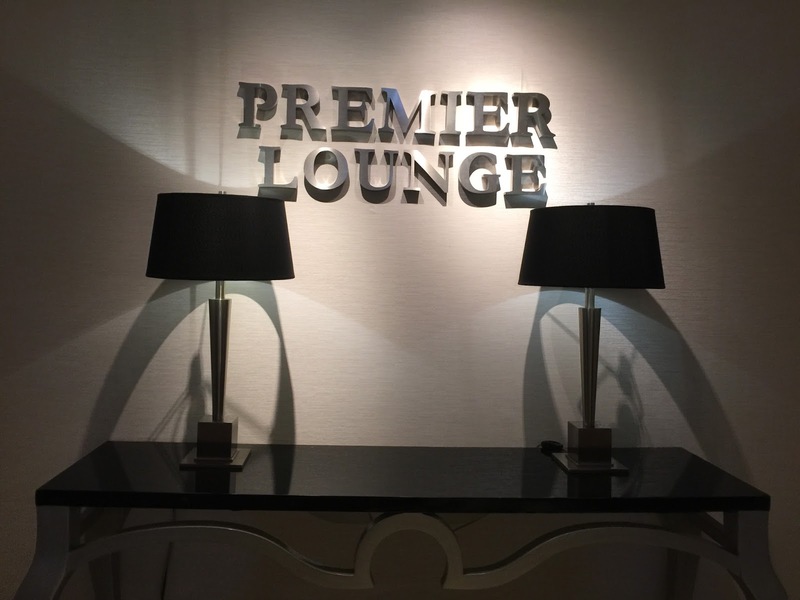 Guests staying in the Hatten Suite can opt to check-in at Premier Lounge, which I highly recommend to do so as there are no queues at the time of my check-in. 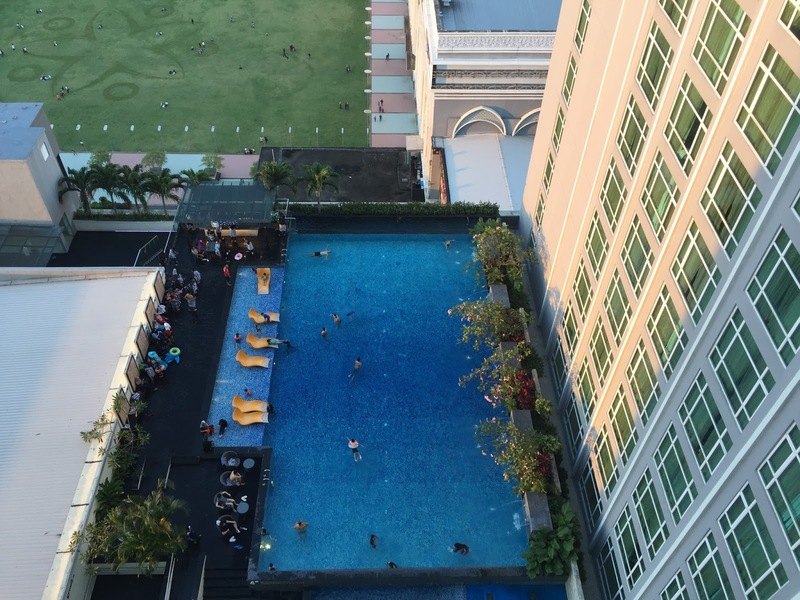 The swimming pool in Hatten Hotel is located on 12th floor of the hotel. 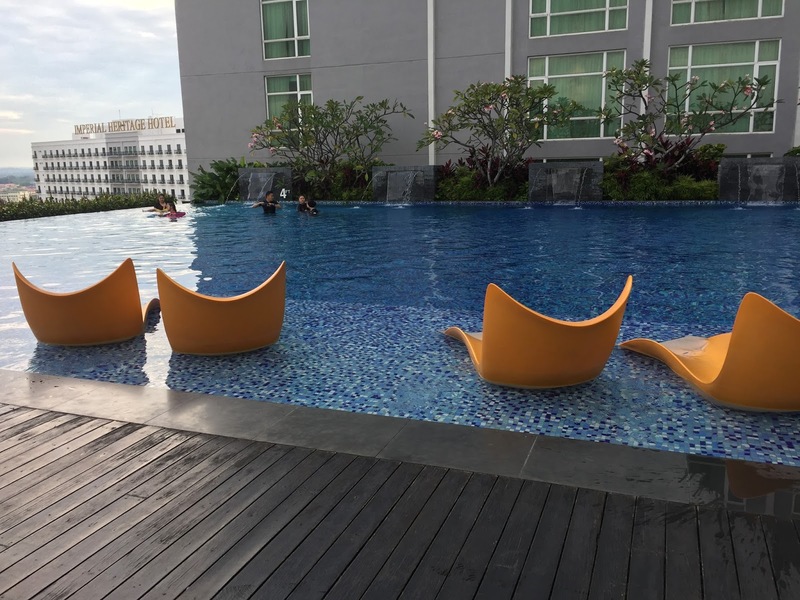 There are 2 pools in Hatten Hotel, the larger deeper pool and a very small wadding pool with a slide for young guests to play in. 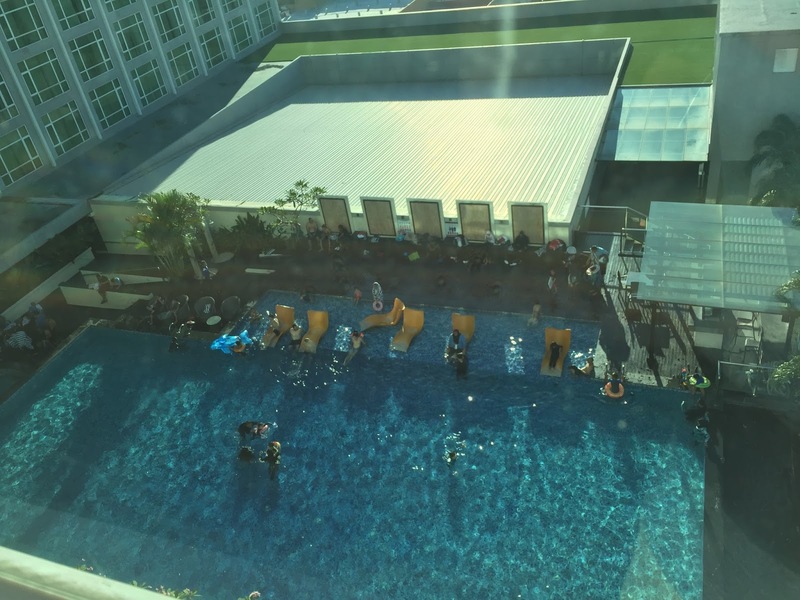 The larger pool though is of a decent size capable to allowing guests to swim some laps in, however the swimming pool is usually very crowded making swimming laps a challenge. The swimming pool is tad small for the number of guests that the hotel can accommodate. There are also limited amount of furniture in the pool area for guests to even leave their towels around. Nonetheless the infinity swimming pool, sitting on top of the roof gives great view of Melaka at the edge. 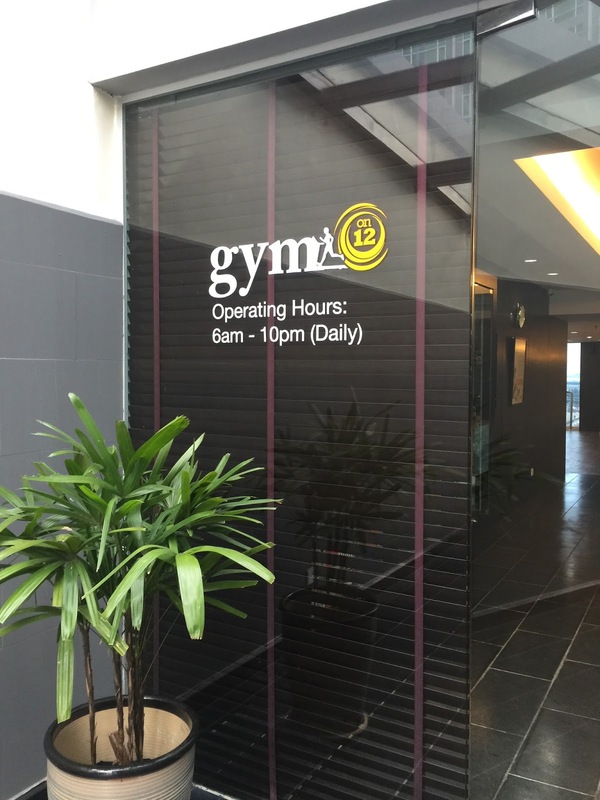 The gym is located on the 12th floor of Hatten Hotel, with the entrance located at the side of the swimming pool. 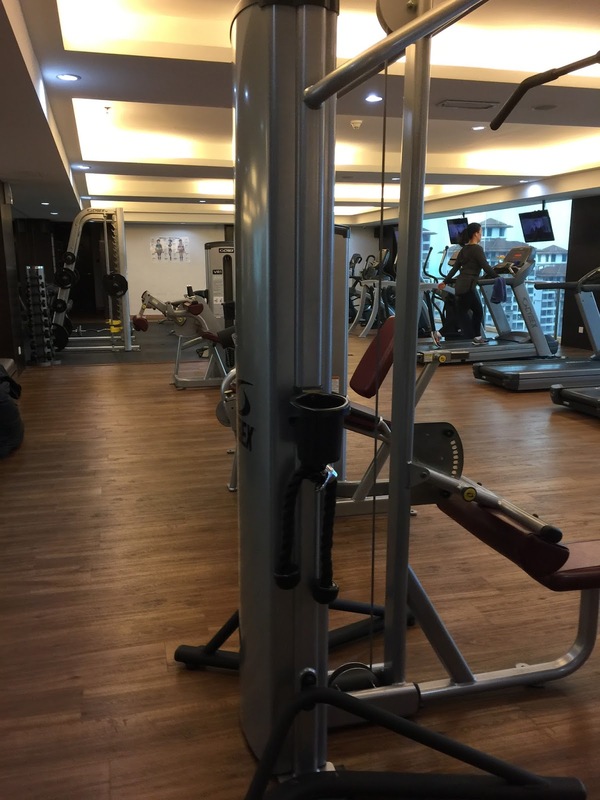 The gym is rather small, however it is well equipped with treadmills, elliptical machines and some weight machines which is capable of providing guests with a decent workout. 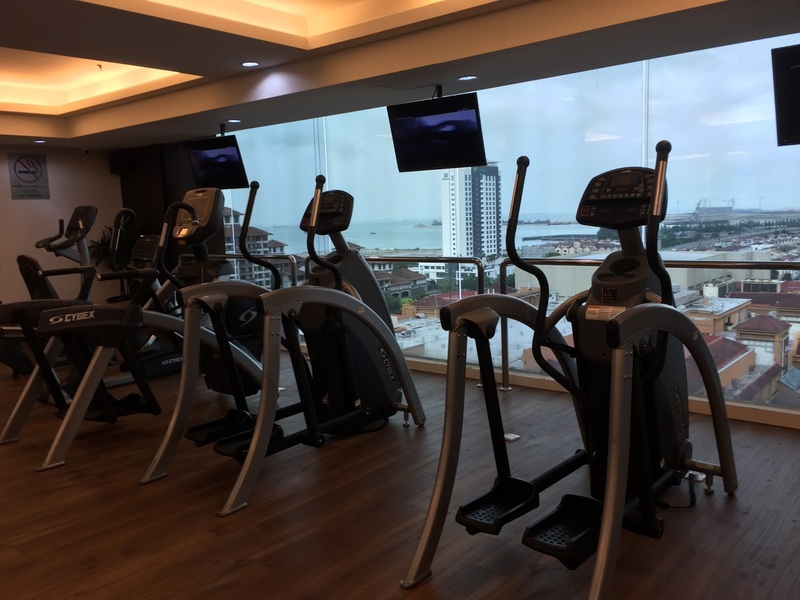 The drawing point of the gym is the floor to ceiling window which the treadmills are placed, providing a stunting view of Melaka and Melaka Straits while guests are jogging on them. Breakfast is served in the Chatterz restaurant located on 11th floor of the hotel. Chatterz has a large dinning area, capable of hosting a large number of guests dinning at one time. There are a huge variety of local and western food for breakfast. The food served during breakfast is very tasty. Guests staying in the Hatten Suite can also opt to consume their breakfast at the Alto Restaurant, located on the top floor of Hatten Hotel. The number of guests coming up here is far lesser compared to those heading for Chatterz for breakfast. 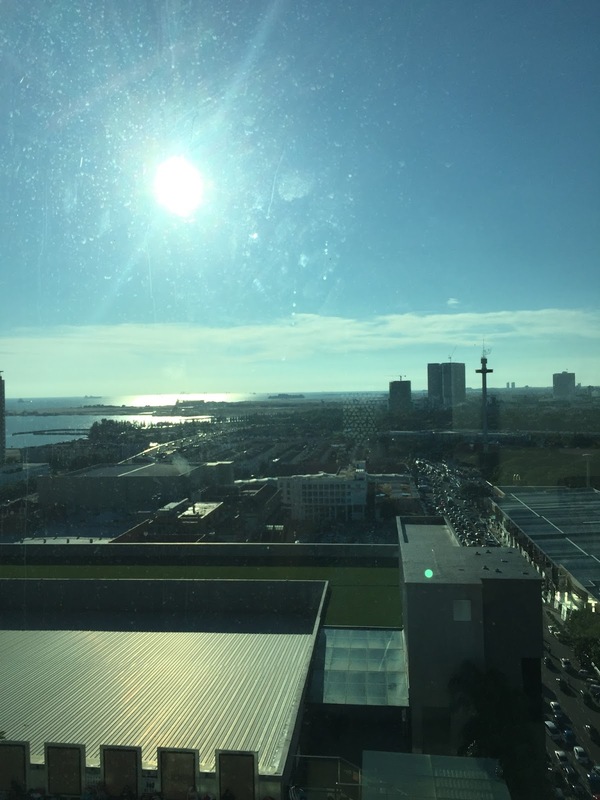 This means guests can enjoy a peaceful breakfast while treated to the view of Melaka. The food options are lesser in Alto compared to those served in Chatterz. 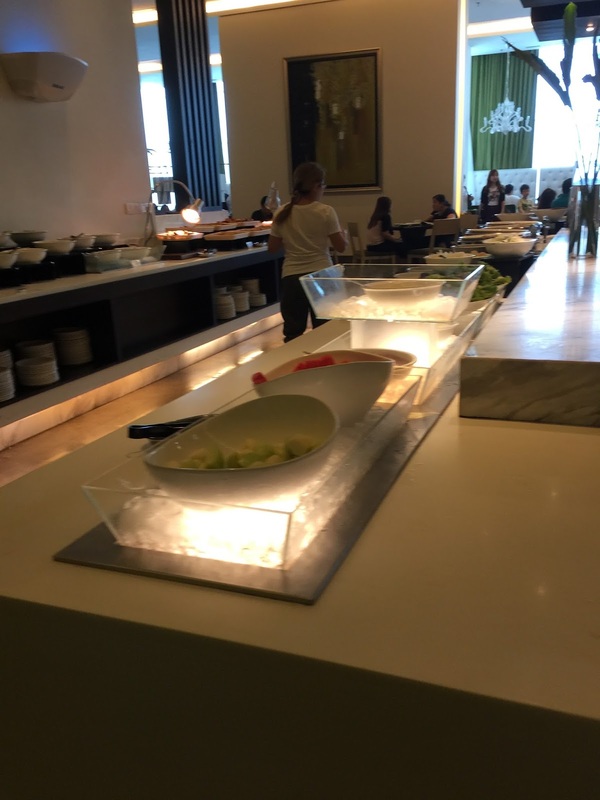 Overall the service in Hatten Hotel is good. 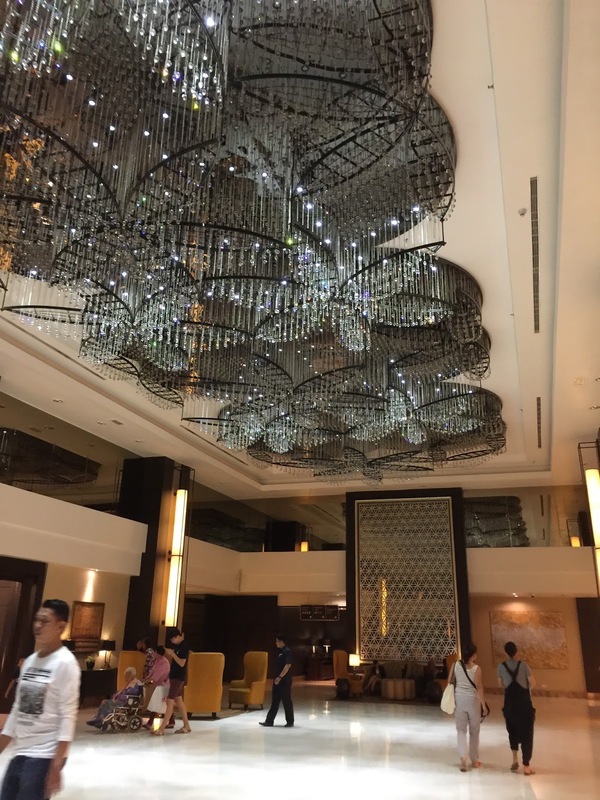 Most of the time I met with very polite staffs that makes me feel welcome Hatten Hotel. The good service started at the point of my check-in, where I was made welcome by the staff in the Premier lounge processing my check-in. 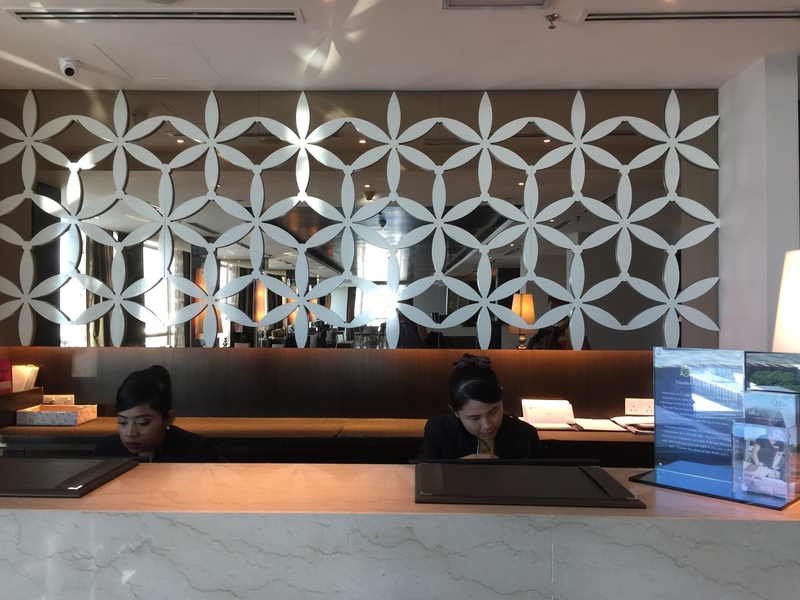 The staff processed my check-in with speed and briefed me on the privileges that I am entitled as a guest in the Hatten Suite. However during my booking of the suite on the hotel website, I indicated that I prefer a high floor suite. This remark seemed to be overlooked by the staff, making me feel if anyone bother to read the comments left by guests during booking. The staff even asked if I made my booking through their website despite showing her the email printout sent by the hotel. 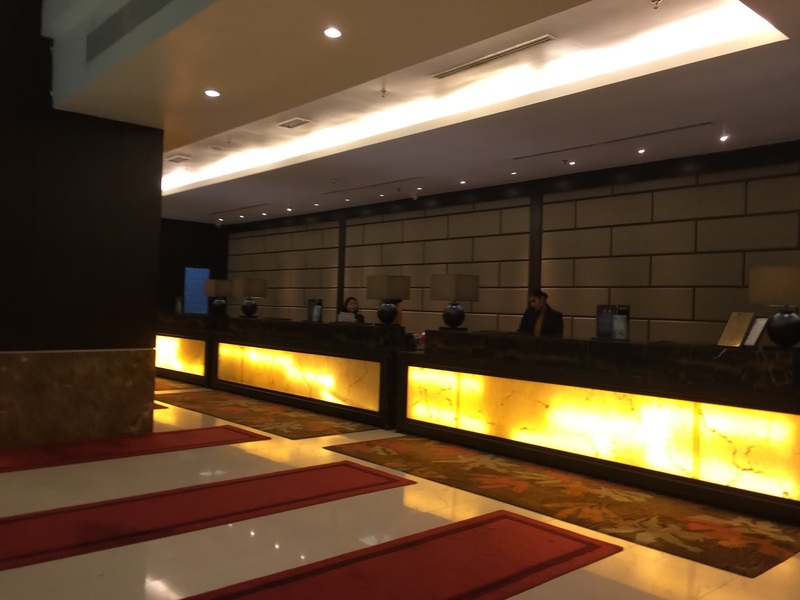 Nonetheless, the staff processing my check-in was patient and made me feel welcome to the hotel. I find the staffs at the reception on the ground floor are very observant. I returned to the hotel late at night and had left my key card in the suite. As I was approaching the reception counter, the 3 staffs were seen talking to each other initially. One of the staffs saw me approaching the reception counter and prompted the other staffs. They were ready to serve me by the time I reached the reception counter. 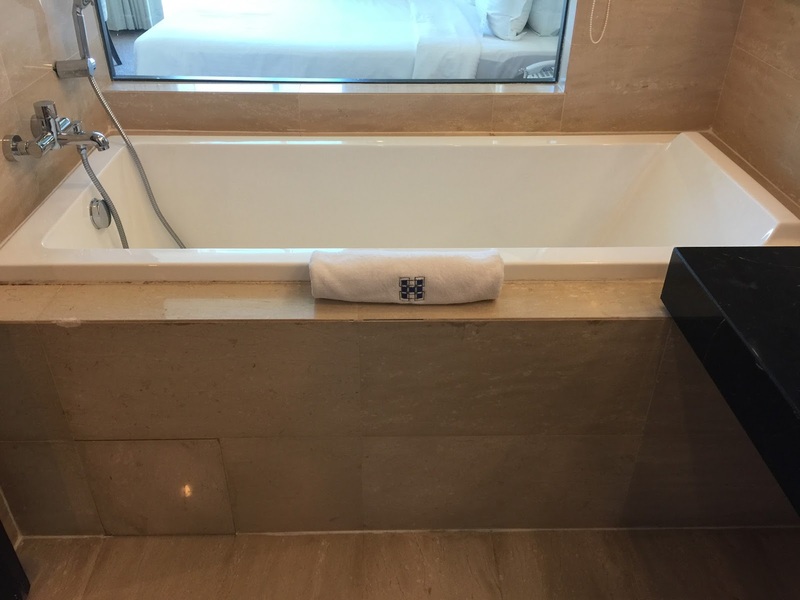 The housekeeping staffs were exemplary as well. I called reception to inform them about the stained bedsheets on my bed and it was already past midnight. 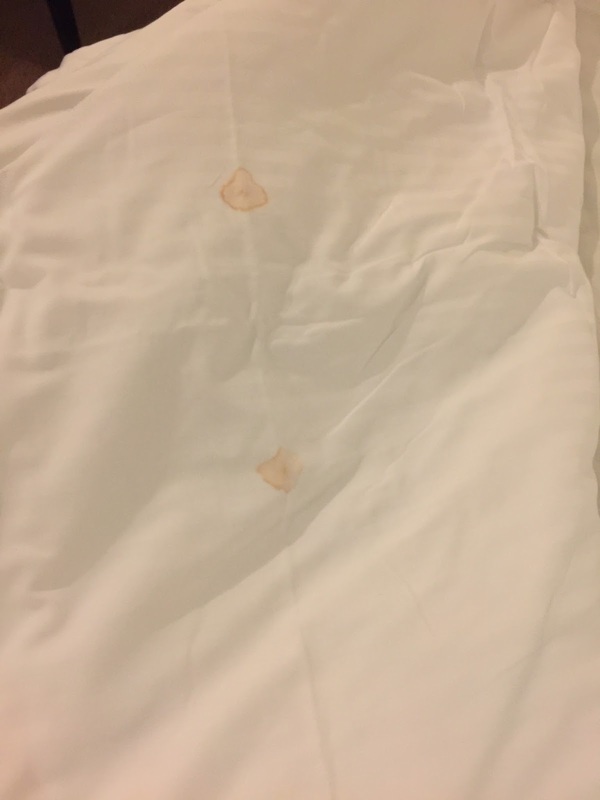 Despite taking about 30 mins for someone to come to my suite and change the sheet (which is understandable), the housekeeping staffs first apologized for the stain bedsheets and proceeded to change the sheets swiftly so that I can rest sooner. 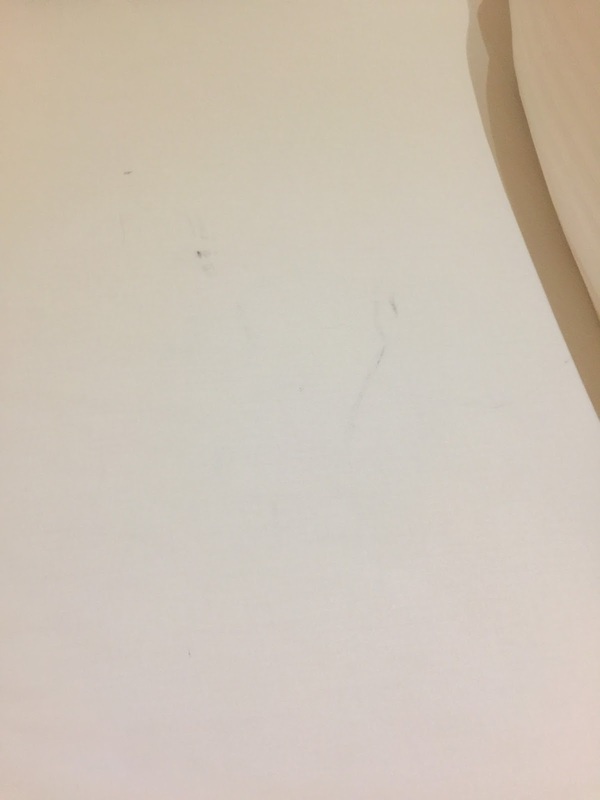 The good service in Hatten Hotel is smeared by the staffs at Chatterz Restaurant. I encountered what appeared to be racists behaviour from the security staff at the entrance of the restaurant. As I was queuing up for my turn to be shown to a table at the entrance of the restaurant, a group of Caucasian guests were chatting among themselves at the entrance. Instead of asking the Caucasian guests to move to aside to continue their chat, the security staff instructed me (yes in a very rude manner) to form the queue around them. I told the staff that he should have asked the Caucasian guests to move instead of instructing the queue to be formed around them, however this was turned to deaf ears. When I raised my unhappiness to another staff who showed me to my table, she gave me the look of “not my problem”. After settling on my table and grabbed some food, I returned to an empty table. The container of sugar that was on the table was being cleared and there are no cutlery placed on the table. I had to signal a staff member to bring a set of cutlery. Most of the staff inside Chatterz Restaurant are seen to be standing in one corner and chat among themselves. 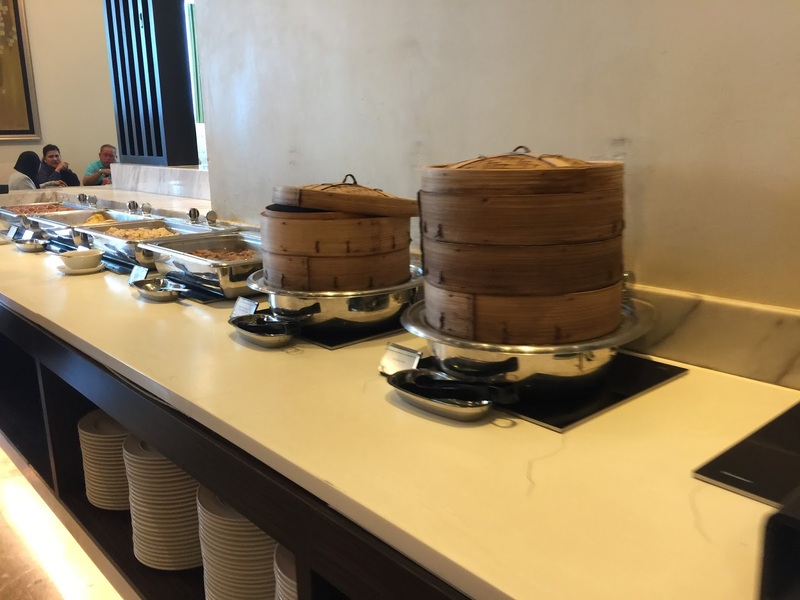 Plates are seen uncleared on the tables around as though they are not interested in doing their job. 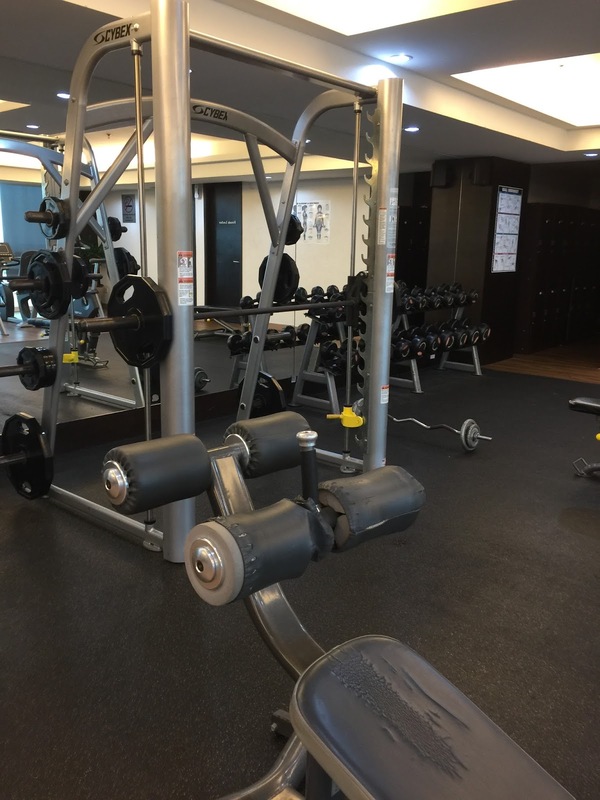 Hatten Hotel is well located in Melaka and is very accessible in the town of Melaka. Hatten Suite in Hatten Hotel is very comfortable room to stay in. The space is large and yet the furnishing does not make the suite look empty. The Suite has a very comfortable vibe. The sleep quality on the bed is excellent. The service is generally good, but the service standards in Chatterz Restaurant is the black sheep that brought the service standards down.